FARMINGTON - Join Penobscot Marine Museum’s Kevin Johnson and Farmington Historical Society members at the historic North Church on Monday, Sept. 24 at 6 p.m. for a Public Potluck Dinner followed by a program by Kevin Johnson, photo archivist for the Penobscot Marine Museum in Searsport. Johnson will present Franklin County: The Postcard View; Selections from the Eastern Illustrating & Publishing Company. 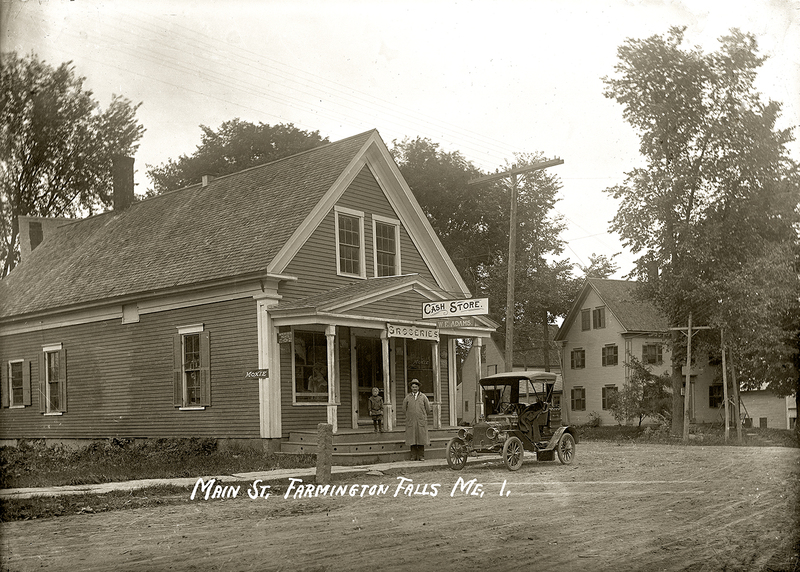 The slide show and talk will consist of the story of the postcard company as well as the historical views of Farmington as well the other towns of Franklin County. The Eastern Illustrating & Publishing Company was founded in 1909 in Belfast by Rudolph Herman Cassens. His goal was to photograph small towns and rural areas from Maine to California, producing “real photo” postcards that would be valued for promoting tourism. Cassens did not fulfill his dream of photographing the entire country, but his company did produce over 50,000 glass plate negatives of New England and Upstate New York between 1909 and 1947. The collection is full of historic businesses, family homes and local landmarks. The images are fascinating on many levels. They take viewers back in time to when the roads were still dirt, horse drawn carriages outnumbered cars, coastlines were undeveloped, and elms lined the streets. The collection is now part of the archives of the Penobscot Marine Museum and continues to grow as more negatives that "escaped" from the collection are located and acquired. The collection is being digitized and more than 100,0000 thousand images can now be viewed on the museum's website in their online database. The North Church is located at 118 High Street in Farmington. The dinner and program are open to the public. Attendees are asked to bring a dish to share if they are participating in the dinner. Non-dinner guests are welcomed and encouraged to be there by 6:45 to hear and see the program.